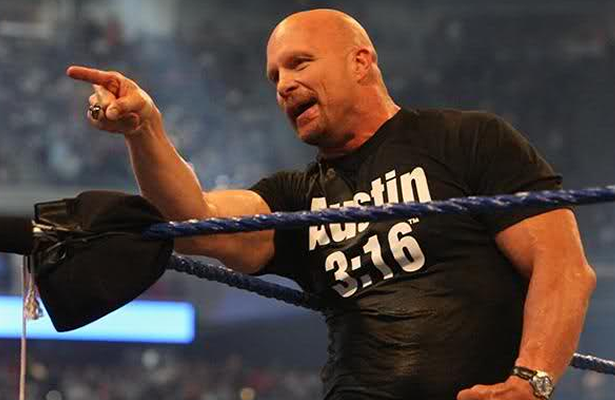 Listen to ALar, because Stone Cold says so! These are the questions that the run of the mill professional wrestling fan faces whenever the subject is brought up. Admittedly, the questions are somewhat valid. The fighting is indeed more acting than combat. The outcomes are very much predetermined. And yes, many of our favorite wrestlers parade around in nothing more than glorified underoos. Yet still, I find it within myself that I must advocate for this supposed “silly” form of entertainment. Pro wrestling is a hybrid of athleticism and entertainment that is overlooked by many fans of the traditional martial arts as well as casual sports fans. They fail to see past the pyrotechnics, crappy acting, and oversized muscles to see the purest form of American entertainment that currently exists. I hope by the end of this treatise you would be willing to watch a minute or two of Monday Night Raw when you hastily scan past it in your TV listings. In the midst of this brief MMA lull, I have a few pro wrestling posts in the pipeline for my loyal readers. This initial post will hopefully change some opinions about the adolescent f0rm of entertainment I have reconnected with in the past few years. I’ll describe why I came back to the WWE Universe in a subsequent post, but this one is all about changing preconceived notions. Sure, this stuff is “fake”. John Cena really doesn’t punch Randy Orton in the face thirty times a night. Daniel Bryan’s ‘Yes Lock’ really doesn’t threaten to snap the limbs of his opponents. Though, does Jack Bauer really shoot 30 terrorists in the head on every episode of 24? Does he really save the world in a mere 24 hours once or twice a year? No. No, he doesn’t… But the millions of people that watch ’24’ aren’t considered idiotic, white trash neckbeards who date their cousins now are they? There is a stigma attatched to pro wrestling that is just unwarrented. To the casual passerby, the wear and tear that these athletes put on their bodies is an afterthought. WWE Superstars are some of the toughest SOB’s on the planet. The fighting is fake, but would you sign up to do what Jeff Hardy did up there? The impacts of the falls are all too real and these athletes are trained to take them with the least resistance possible, two hundred nights a year. Lebron James plays maybe 100 games a year if his team makes the playoffs. Peyton Manning tops out at 19 if he wins the Super Bowl. Jon Jones is lucky to fit 3 fights in 12 months. John Cena wrestles a full match 3-4 times a week, 52 weeks a year. Add in Pay Per View weeks, and the guy puts on a show around 200 times a year. Combine that with his intense committment to the Make A Wish Foundation and you would be hard pressed to find a busier individual than the 15 time WWE Champion. Sure, he isn’t catching a right straight from Roy Jones Jr. every night, but he is putting his body on the line more often than you go to the grocery store. Those sweaty dudes jumping around in their underwear are some of the best entertainers on the planet. I didn’t say athletes, and I didn’t say actors. WWE Superstars are the ideal hybrid of the two. Tell me Roman Reigns, John Cena, or Big E couldn’t put the biggest, baddest dude at your gym to shame in a lift-off. Tell me CM Punk, Dave Bautista, or Dolph Ziggler aren’t going to put a whipping on some of the weekend warriors at your dojo. I mean, the former UFC Champion does happen to be the king of the sport right now, and we all know that his credentials are as legit as they come. 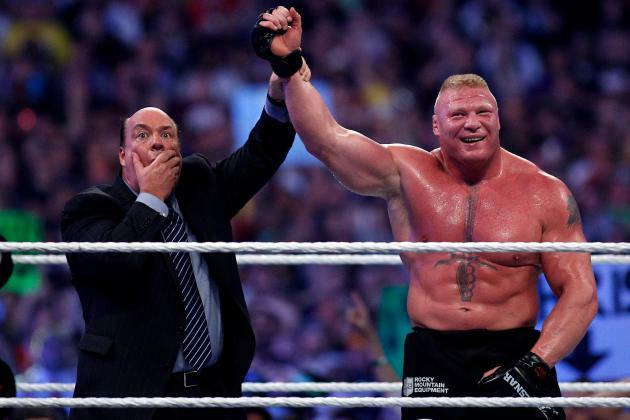 This entry was posted in Commentary, Entertainment, Opinion and tagged Brock Lesnar, John Cena, Pro Wrestling, WWE. Bookmark the permalink.